The date on Detroit's bankruptcy filing was changed by hand as the emergency manager rushed to get the filing in before a court blocked it. Detroit's financial problems may have been building for decades, but its bankruptcy filing got in just under the wire. Lawyers for pension funds and individual retirees had gone to court Thursday afternoon seeking an order to block Michigan Gov. Rick Snyder from authorizing the largest municipal bankruptcy in the nation's history. Just before the hearing was about to start at 4:11 p.m., the judge's clerk was told by the Michigan Attorney General's office that the filing had been submitted at 4:06 p.m.
Ingham County Circuit Judge Rosemarie Aquilina told the lawyers seeking to block the bankruptcy that "it was my intention to grant you your request completely." But with the filing, their request had become moot. The bankruptcy filing had been widely expected to come Friday morning. 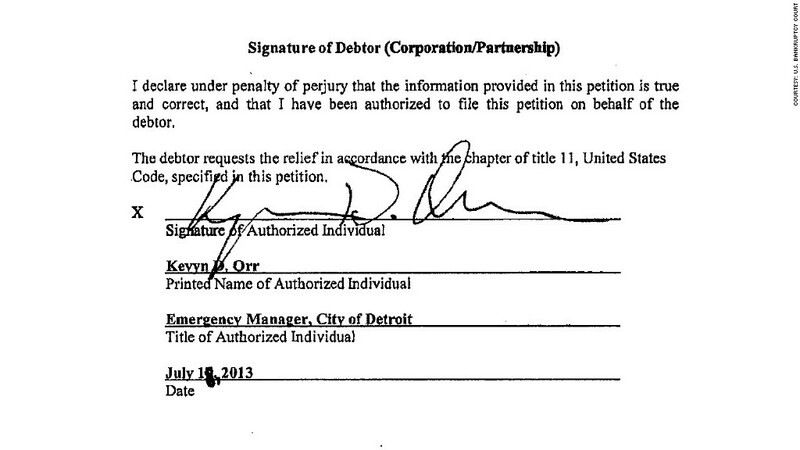 In fact, the paperwork that was filed by Detroit emergency manager Kevyn Orr was dated July 19 date. Orr crossed out the date by hand to change it to July 18 as he signed the document. Asked about the timing of the filing, Snyder said Thursday evening that the pending court cases were not a major factor in the timing of the bankruptcy. 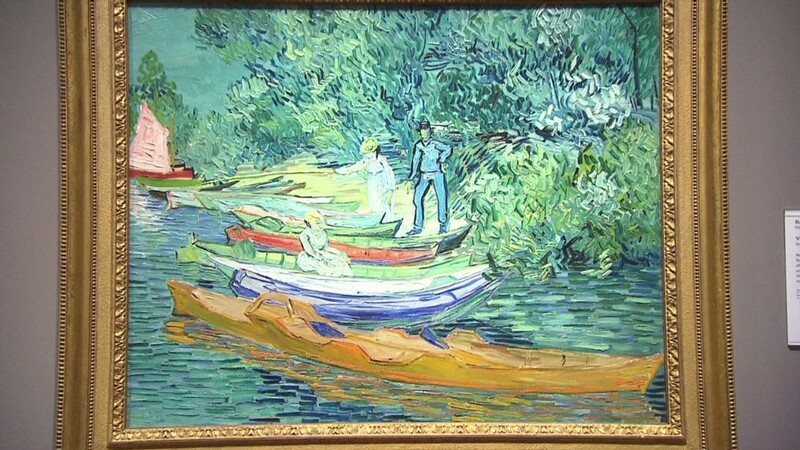 He insisted that he needed to file because the city's financial condition was deteriorating. "It was time to move forward. With every passing day, the citizens are getting worse services," Snyder said Thursday at a press conference. Orr's reorganization plan argues that the city needs to shed $9.5 billion of its $11.5 billion in unsecured debt in order to be able to pay its bills and make necessary improvements in services. Much of the debt he is targeting for elimination is related to pension benefits and retiree health care coverage required by union contracts. That means retirees and current employees could see deep cuts in their promised benefits. Unions have vowed a legal fight stop a cut benefits. The judge did issue orders against Snyder and Orr last night to prevent them from taking any further action in the bankruptcy proceedings until she hears arguments in the state court cases. A hearing is scheduled for Monday morning, but now that the case is in federal bankruptcy court, it's not clear if the state judge's orders will hold any sway. "That's up in the air," said Bill Wertheimer, one of the plaintiff's lawyers in the case. "We're going back up to court this morning to argue about it."